The WMSO regularly performs in the School Hall of Eton College. 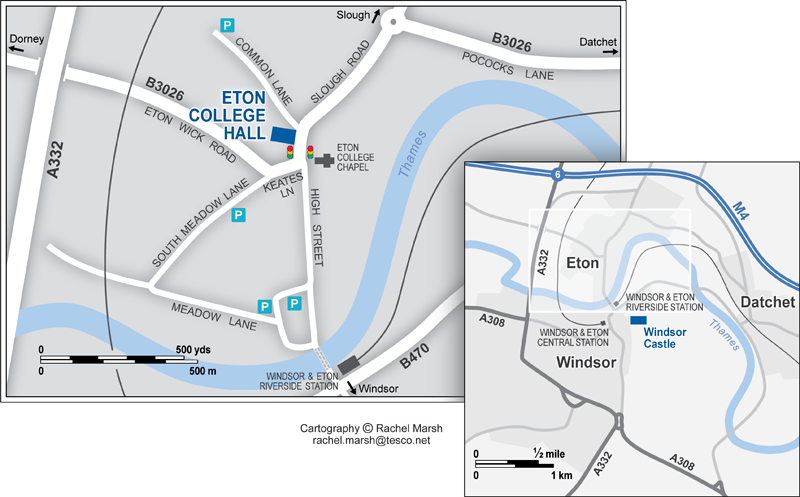 If arriving by car, parking is available at the end of Common Lane which runs alongside Eton College Hall. Sat-nav / post code: SL4 6DW. Prince Philip Trust Fund for their generous support.